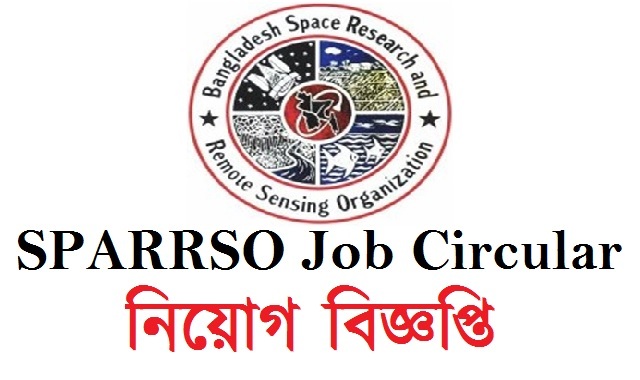 Space Research and Remote Sensing Organization SPARRSO Job Circular 2017 has been published. It is an autonomous organization and controlled by The Defence Ministry. The circular published in Newspapers and Job Portals on 05th July 2017. It is a Bangladeshi Space Research and Remote Sensing Organization. They have total 21 empty posts. Source: Newspapers and Job Portals. Post Name: Scientific Officer, Assistant Engineer, Assistant Scientific Officer, Store Keeper, Accounts Assistant, Draftsman, Technician -2, Driver, Skilled Worker, Office Assistant. 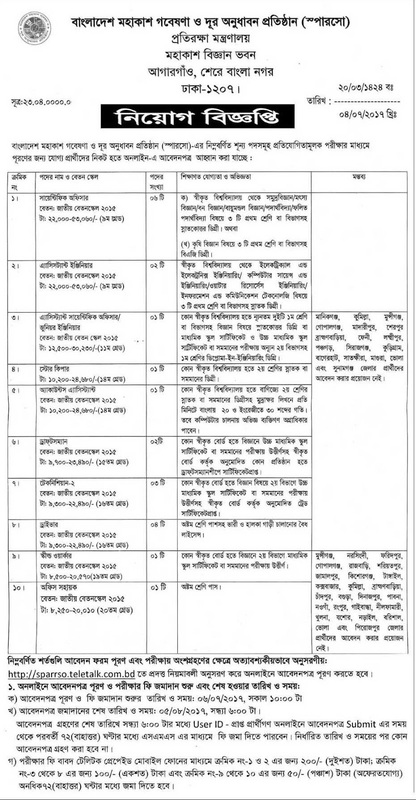 You can download the notice, applications, and circular from their site www.sparrso.gov.bd and also from here. People Also Searched by SPARRSO Job Circular Download, How To Apply for SPARRSO Job, SPARRSO New Job Circulars, SPARRSO Career Opportunity.